The Canadian National Team Trials wrapped up this weekend on May 26th, with many upsets and surprises. The Gull River was in flood due to the heavy rainfall, which made the rapids even more challenging with HUGE waves and complex hydraulics. I was quite intimidated by the river in flood! However this is what I have been training for and I knew I could do it. My objective was to be the fastest C1 boat in my class. There was no room to make any mistakes. 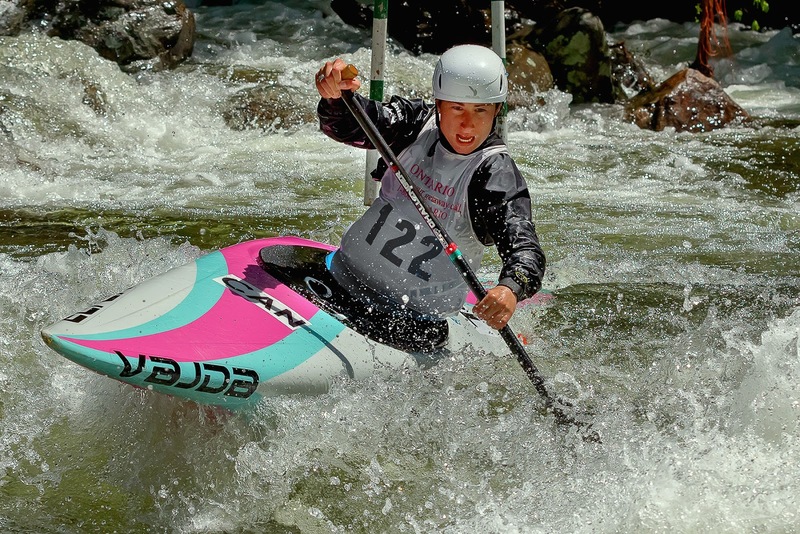 I really had to get mentally prepared before each race and I needed to paddle aggressively from start to finish. Hopefully my investment in mental training was going to pay off and help me overcome my fear of the powerful raging rapids. 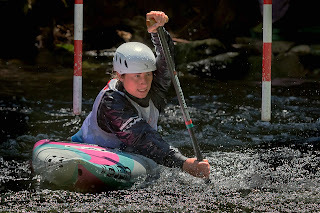 Over the weekend there were a total of four races where in order to make the Elite National Team I needed to make the performance standard in two of the four races. I had a strong first run and secured a spot on the Senior "B" Team at that point...but this was not good enough as my goal was to make the Elite National Team. The hardest part of racing is containing all of your thoughts and staying focused. Before my second run there was an unplanned delay, where I got chilled and seemed to lose my competitive edge. When it was my time to start I was cold wet, and not completely ready. My second run was a disaster where I flipped over 3-times and although I rolled up each time, I completely missed 4 gates. Luckily I still had another day of racing to redeem myself and secure a spot on the Elite National Team. That night I had a restless sleep full of nightmares, dreaming of being consumed by roaring rapids. It took all of my strength to get ready for day two, where I needed to be aggressive if I was to meet the required performance standard. Going into race three I was warmed up and felt totally confident I could do it. When it was time I was ready to execute my race plan. I had a great run and met the performance standard. I made the Elite Canadian National Team! I also nailed the final race, helping to build my confidence while paddling in the boiling rapids of the Gull River in flood…overcoming fear. 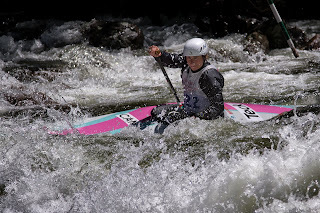 I am very pleased with my performance, as I placed 1st overall in the Women’s C1 class. I could not be happier with my results! My fellow Alberta team mate Jessica Groeneveld also made the Elite Canadian National Team. We are the only two women who made the Elite Team. My other Alberta teammates did well in their respective categories where Adrian Cole made the U23 National Team, and Veronica Oczkowski and Ryley Penner made the Junior National Team. 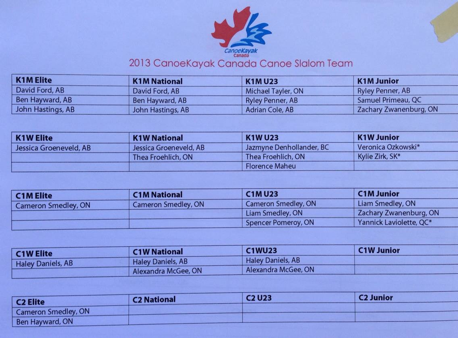 The following chart details the Canadian paddlers who made the different Canoe Kayak Canada Slalom Team.